When will be Joe and Caspar Hit the Road next episode air date? 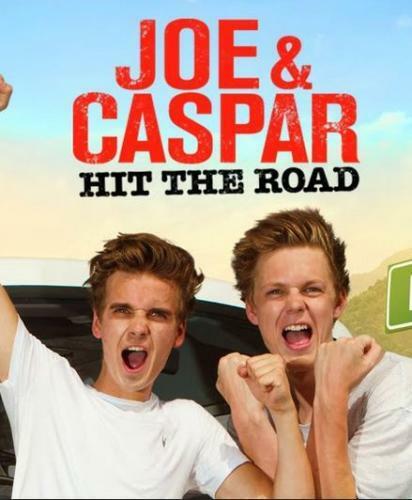 Is Joe and Caspar Hit the Road renewed or cancelled? Where to countdown Joe and Caspar Hit the Road air dates? Is Joe and Caspar Hit the Road worth watching? Joe Sugg and Caspar Lee hit the road on an epic European adventure as Joe challenges his flatmate to survive the trip using only the money they can earn each day. The twosome, who have over 11 million YouTube subscribers and over a billion total video views between them, offer themselves up for employment in a series of unusual tasks such as learning to be gondoliers in Venice, studying the art of pizza making in Verona and entering the world of modelling in Milan. The first of two programmes in which Joe Sugg and Caspar Lee hit the road on an epic European adventure as Joe challenges his flatmate to survive the trip using only the money they can earn each day. The twosome, who have over 11 million YouTube subscribers and over a billion total video views between them, offer themselves up for employment in a series of unusual tasks such as learning to be gondoliers in Venice, studying the art of pizza making in Verona and entering the world of modelling in Milan. The second of two programmes in which Joe Sugg and Caspar Lee hit the road on an epic European adventure as Joe challenges his flatmate to survive the trip using only the money they can earn each day. The twosome, who have over 11 million YouTube subscribers and over a billion total video views between them, offer themselves up for employment in a series of unusual tasks such as being deckhands on a yacht in Antibes, and sketching portraits and working as performance artists on the streets of Barcelona. Joe and Caspar Hit the Road next episode air date provides TVMaze for you. EpisoDate.com is your TV show guide to Countdown Joe and Caspar Hit the Road Episode Air Dates and to stay in touch with Joe and Caspar Hit the Road next episode Air Date and your others favorite TV Shows. Add the shows you like to a "Watchlist" and let the site take it from there.